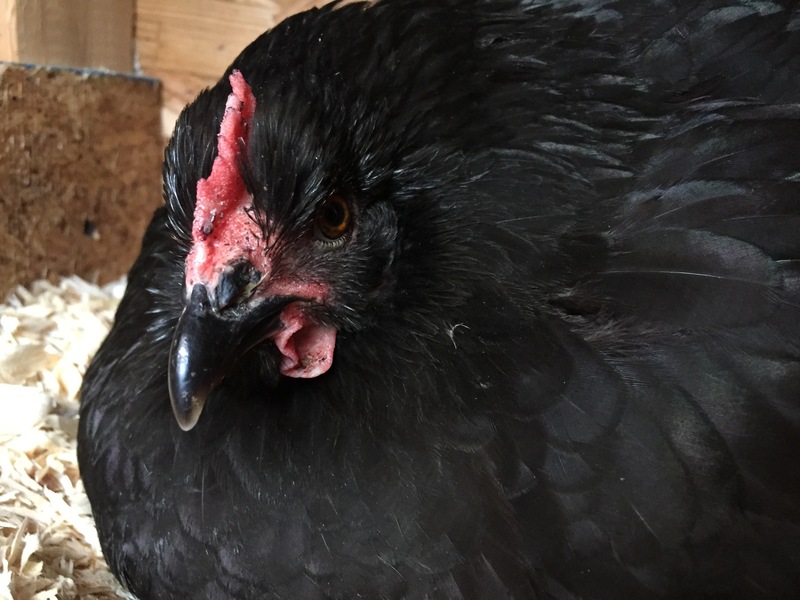 Yesterday, Ashley the Australorp became a mother. This is the first little one I saw. You can’t tell, but it has black spots on it’s back. A 3rd with a cinnamon red color. Possible RiR, Possible sexlink/comet. Really could be the sexlink because the RiRs tend to be darker. And look! You can see the black spots on the first chick! I wound up with a fourth chick as of last night, also yellow with black spots. Two more eggs to account for, but today is the actual hatch date, so it could take a day or two for them to hatch. So much excitement! I’m sure Ashley will be a great mamma! Just a bit different parenting style than Abby. So fun to have little chicks, they are so cute! I hope so! She’s been such a flighty little thing on and off. I may not let her have eggs again. Congrats on the babies! They are so cute when they are tiny and fluffy and peep peep peeping! Chicks in late October? Where are you located? We’re in Pennsylvania. I know, it sounds weird, and I never would have tried it at all if I hadn’t read an article last year in a chicken magazine about how Fall is the best time to hatch and brood chicks. They grow up over the winter are ready to lay eggs in the spring when the older hens are starting back up, too. No wait period like you have with Spring Chicks. Last November, my favorite hen when broody. I gave her 2 eggs as an experiment. One of them hatched and we raised my rooster, Pip, over the winter. He did very well. He grew up in the coop with his family, and integrated seamlessly into the flock structure. He is currently my #2 rooster and right-hand-man to his papa. He also ‘help’ his mother ‘raise’ her summer clutch of 6. That is to say, he stood guard over them as chicks, helped teach them things and made sure the older hens didn’t hurt them. So over all, I am please with how winter babies turn out. Trying it again this year, only I gave the hen more eggs. The ONLY down side to Pip was that he was an only child. He had no siblings to hang out with and he wound up annoying the heck out of the older hens. For the longest time this summer, his mother was the only hen who would associate with him. And some of them still hold a grudge, while others have either forgiven or forgotten. I am hoping Ashley’s babies will annoy each other and not the hens. Hardly anything gladdens the heart like baby chicks! Happy for you. Thanks, Cate! They are really sweet!